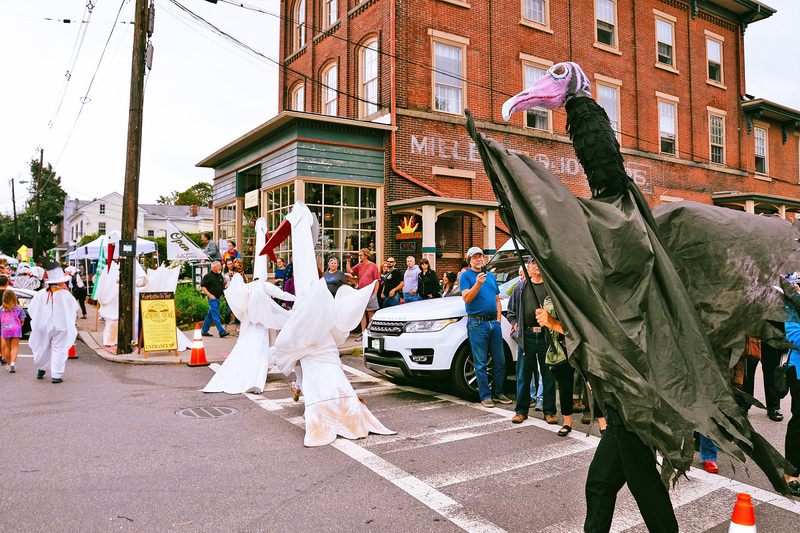 On September 4th of 2016, ArtYard announced its presence by hatching a flock of giant bird puppets out of a fourteen foot tall welded steel egg perched on the edge of a derelict former egg hatchery at the foot of the Frenchtown Bridge. 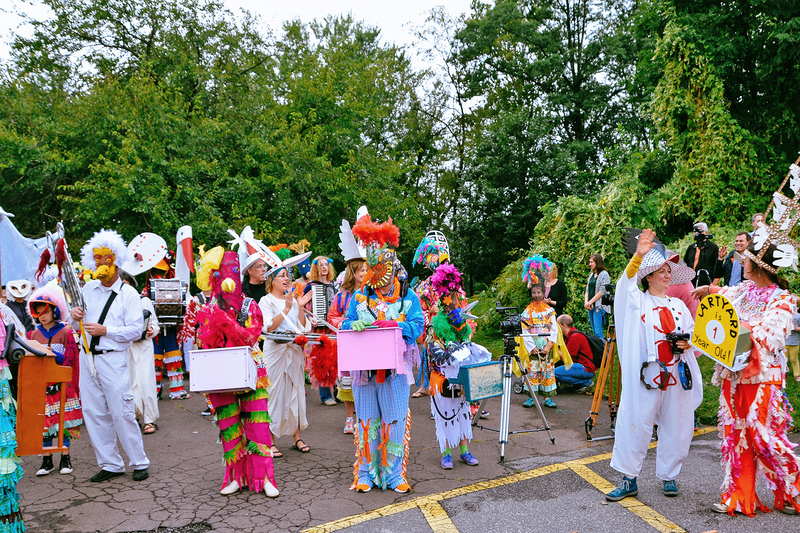 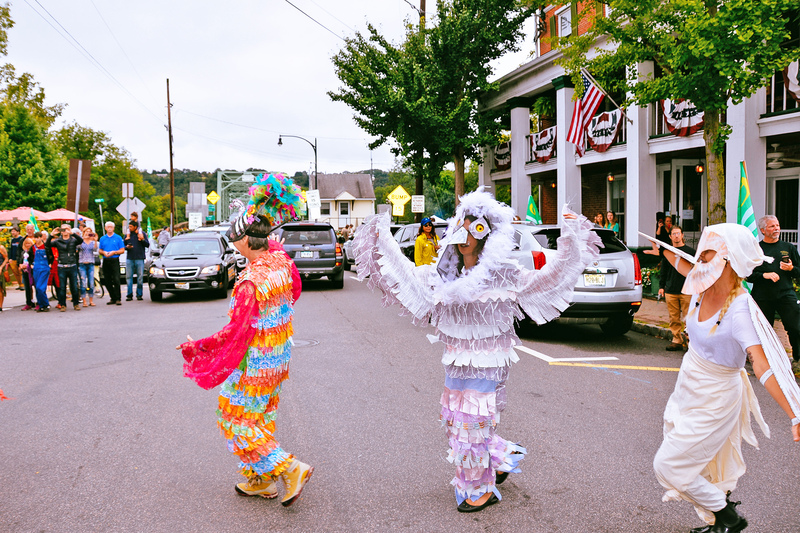 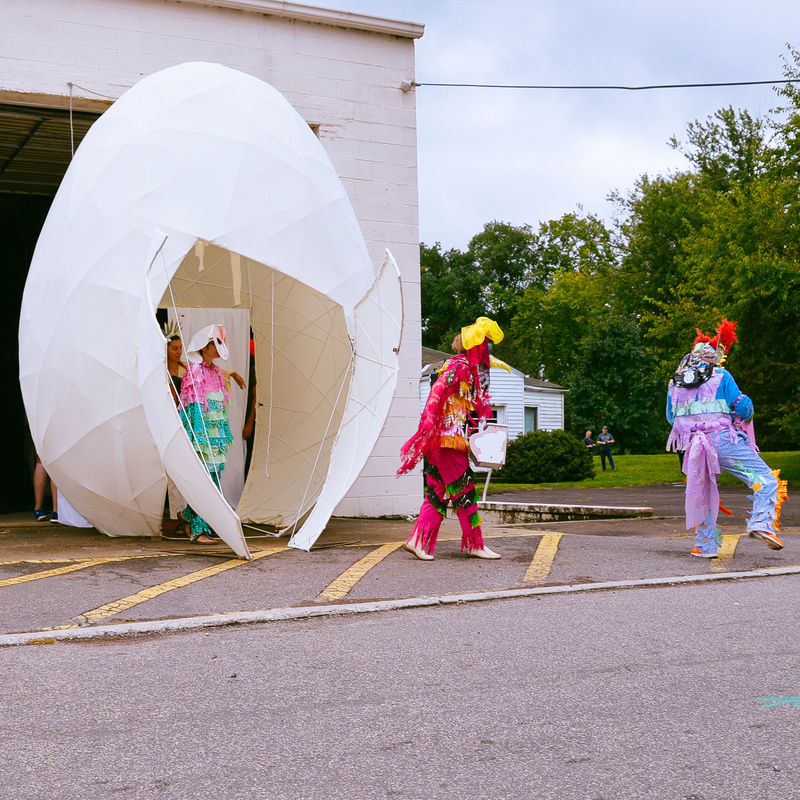 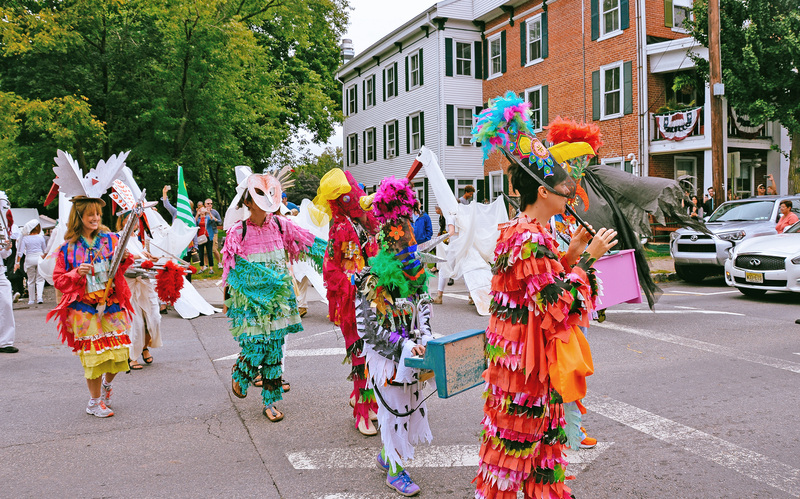 The act of hatching was a nod to Frenchtown’s past as a 20th century center of egg incubation, and its future as an incubator of creative enterprise in art. 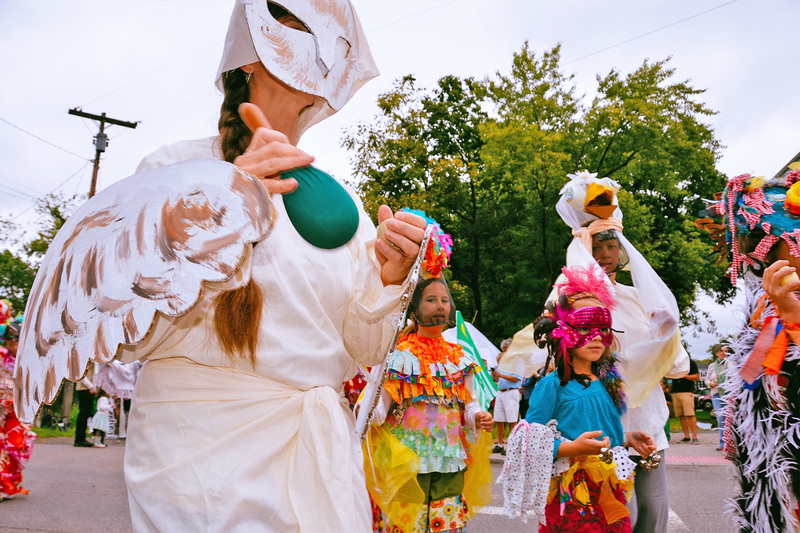 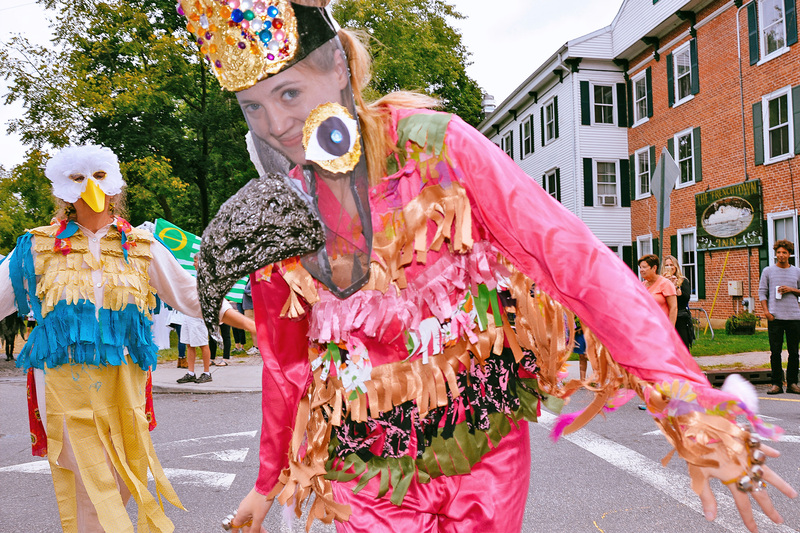 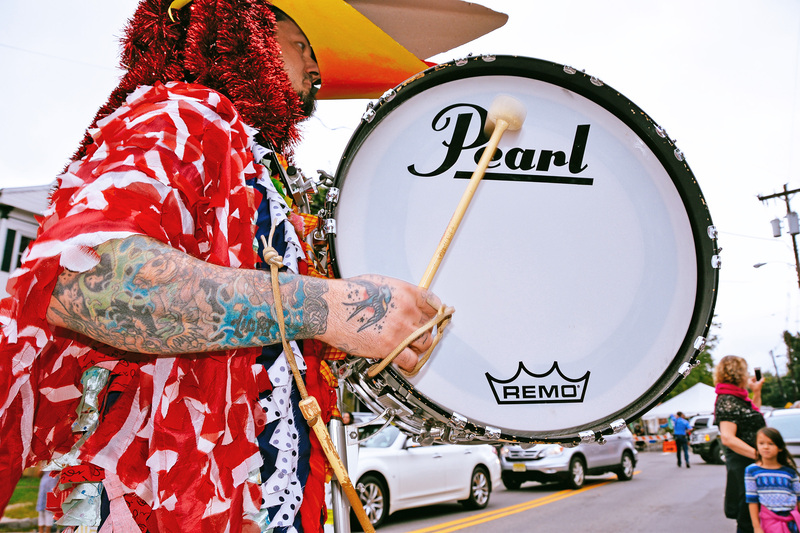 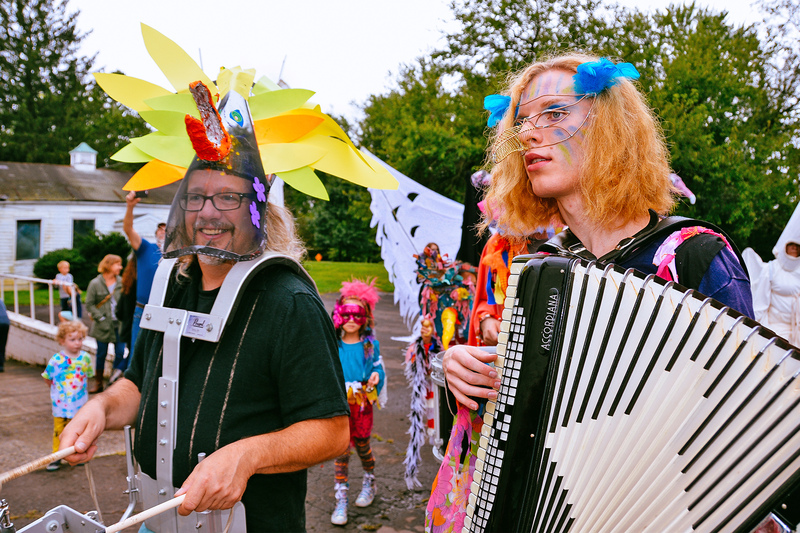 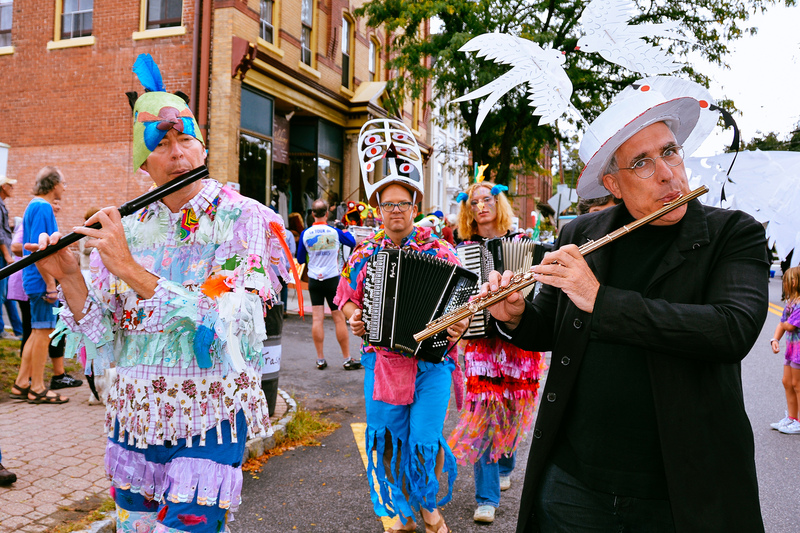 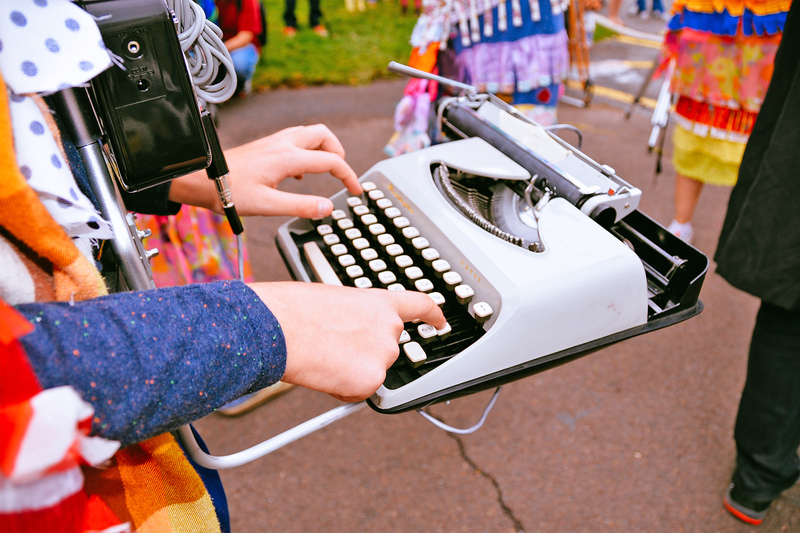 With our second annual Hatch, the event is now an annual festival of creativity and community. 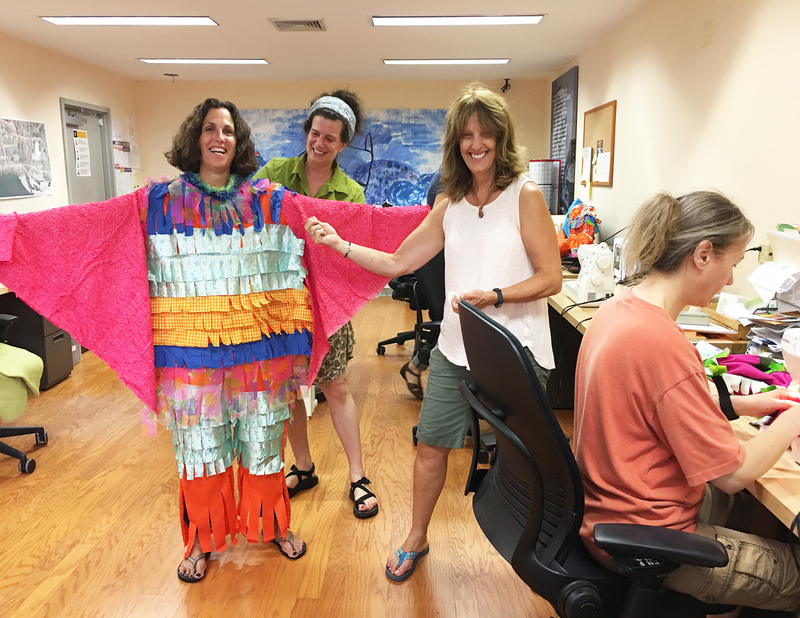 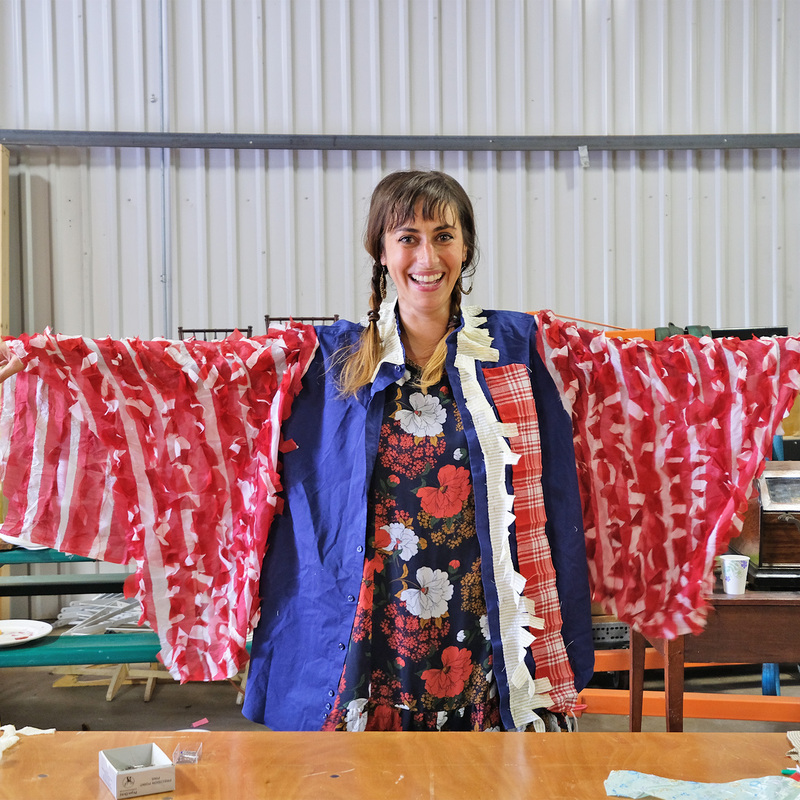 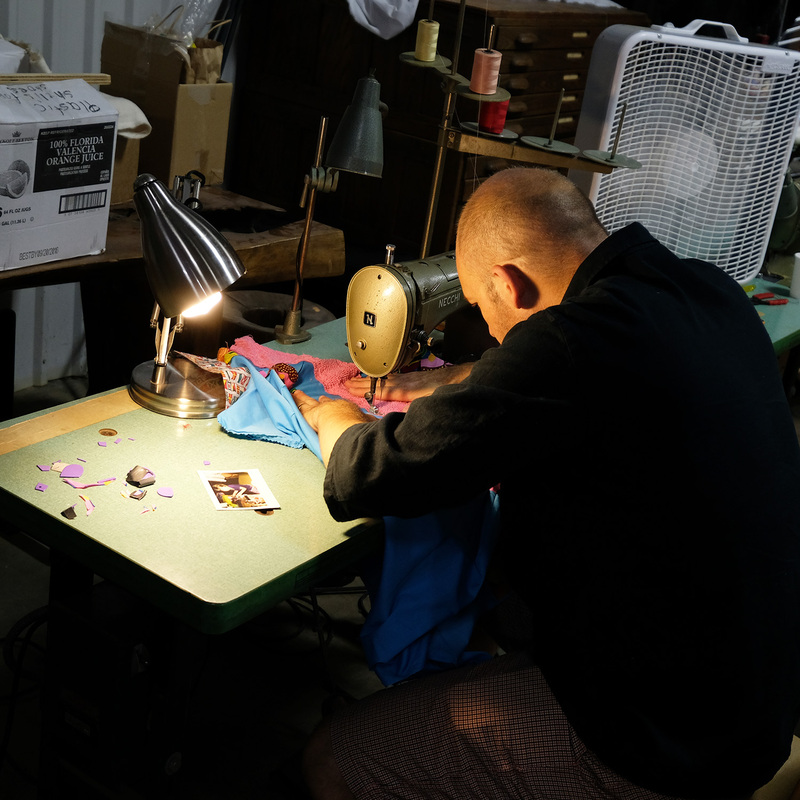 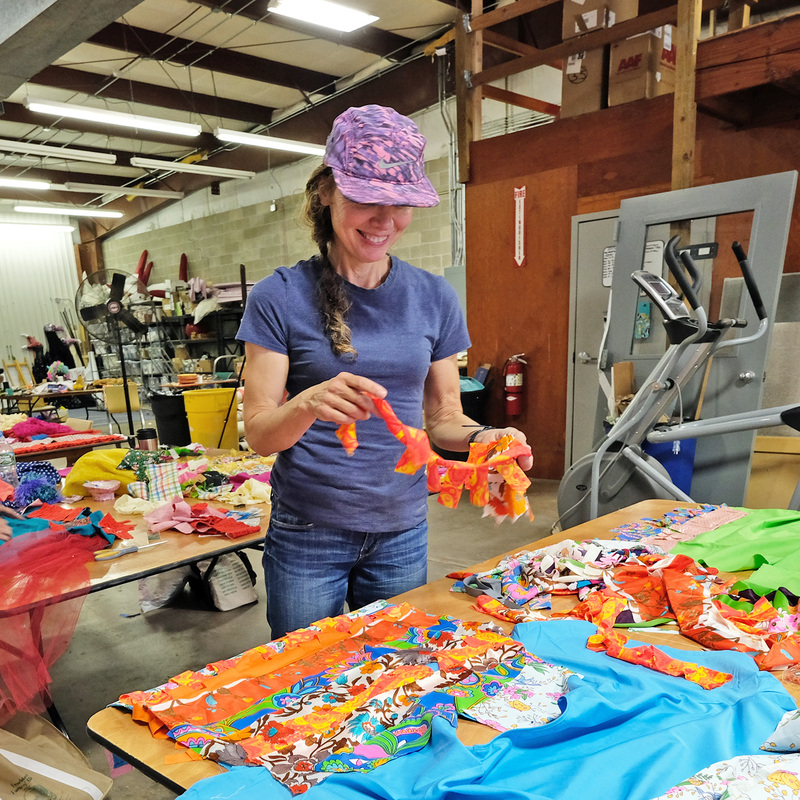 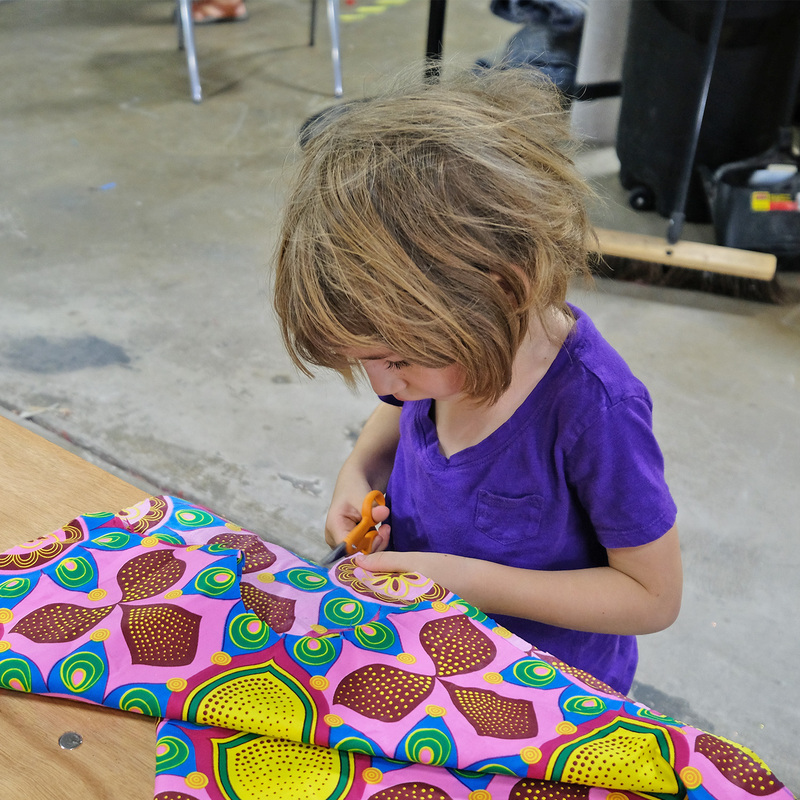 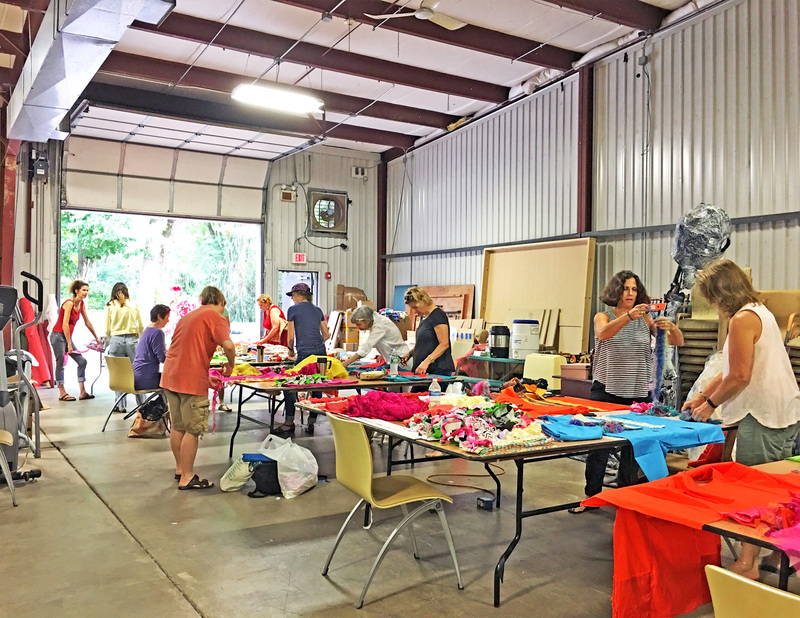 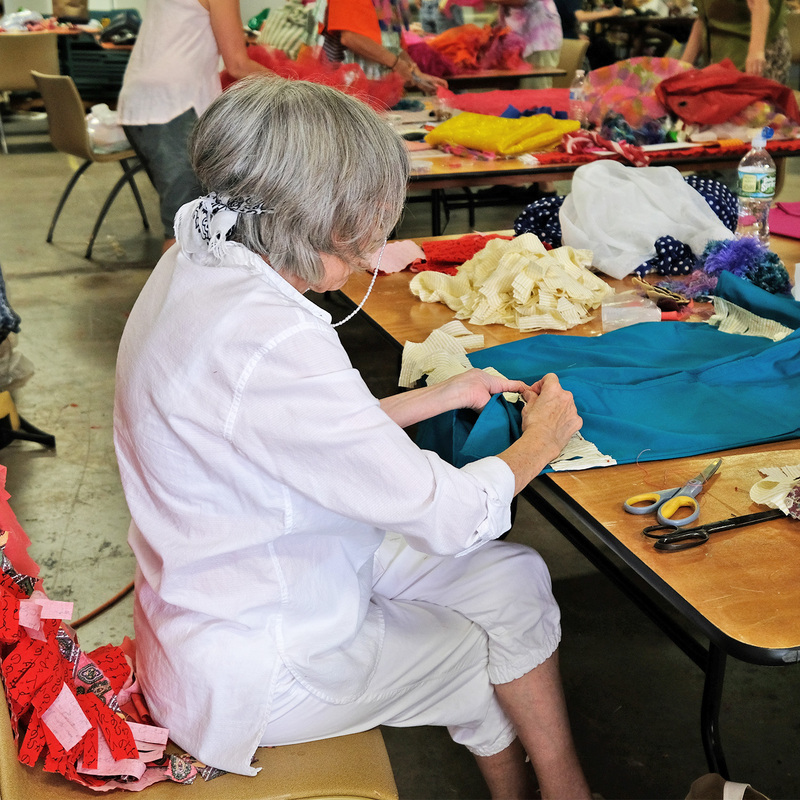 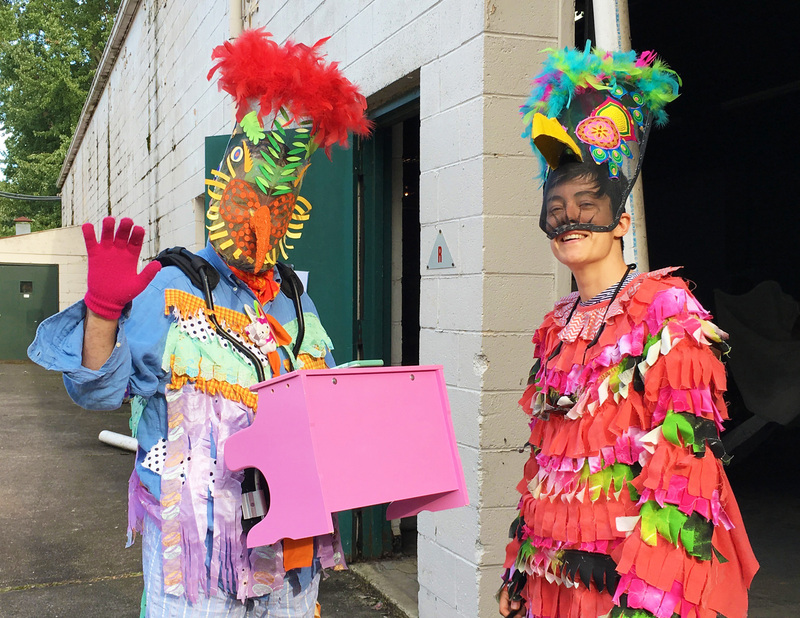 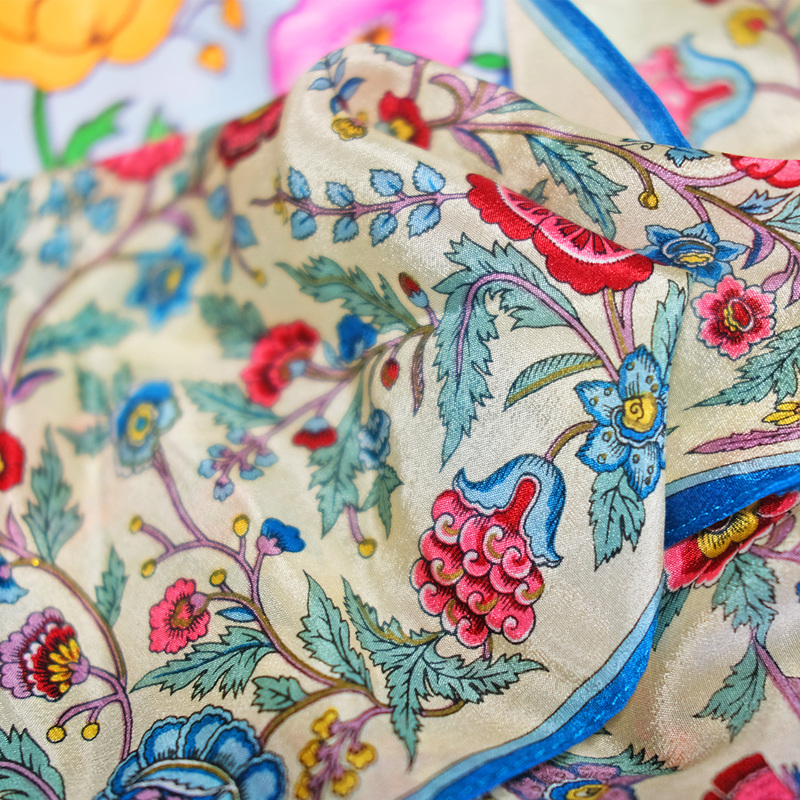 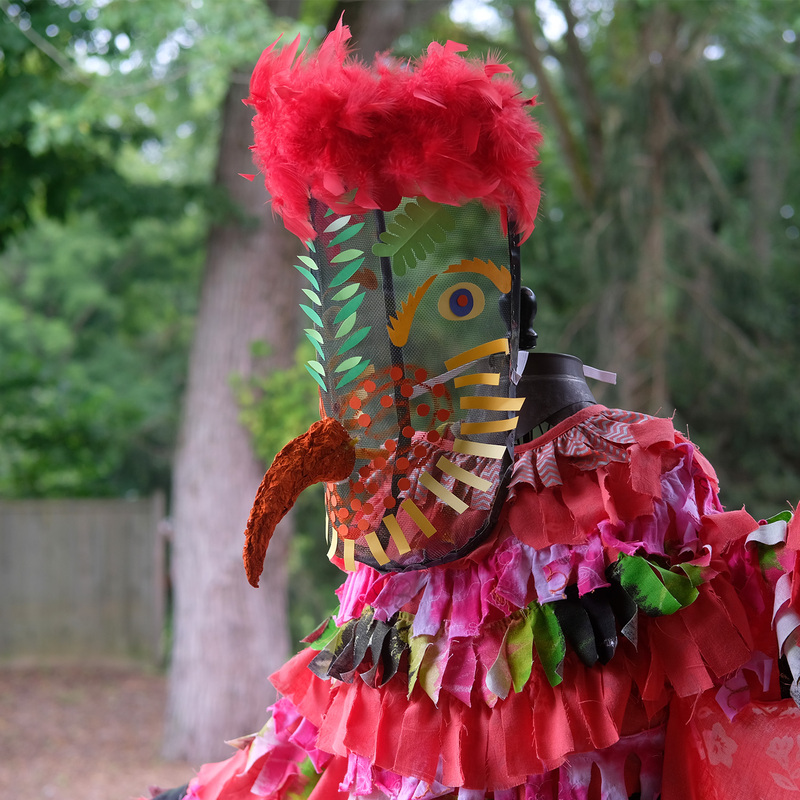 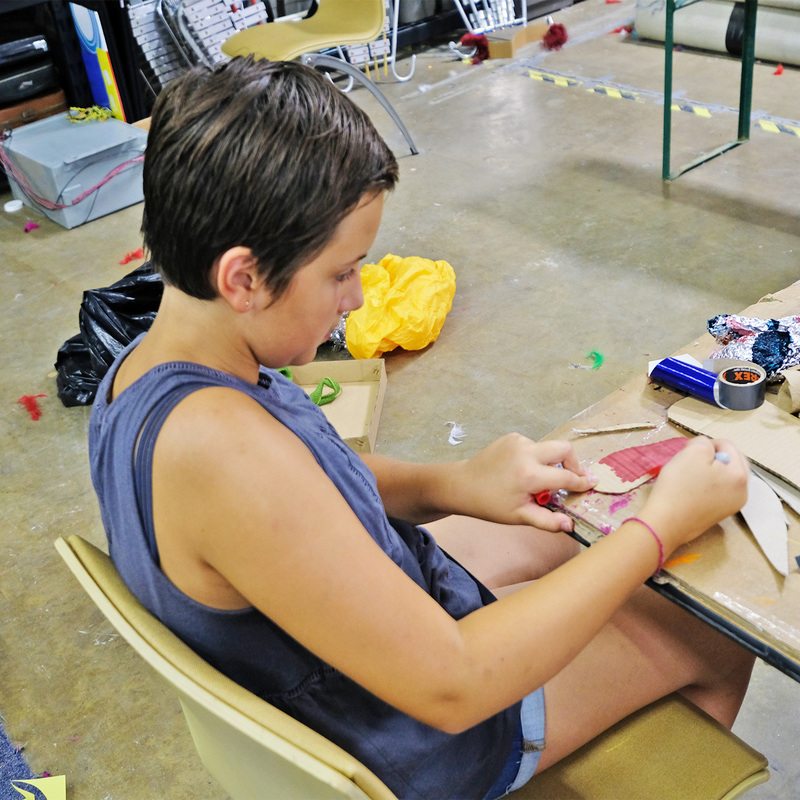 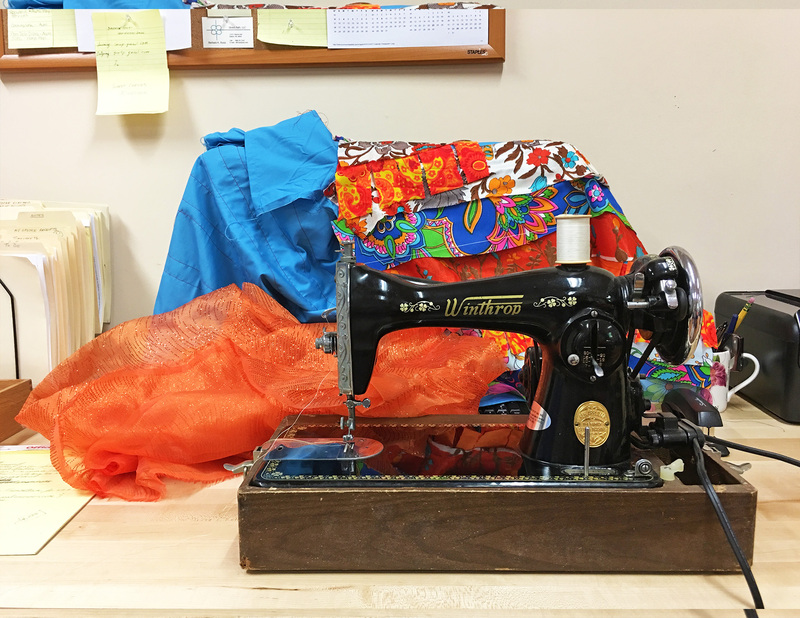 Fringed costumes and window screen masks inspired by Baton Rouge’s Courier de Mardi Gras were sewn and formed by hand in two workshops in the ArtYard warehouse space. 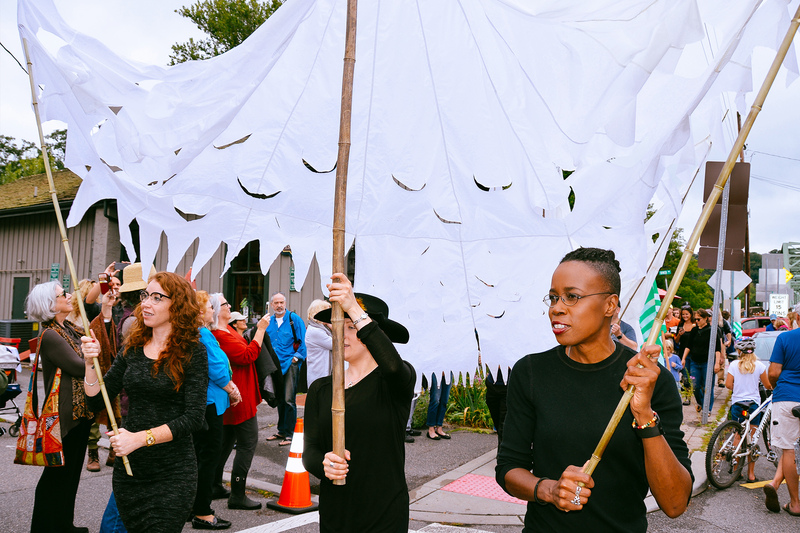 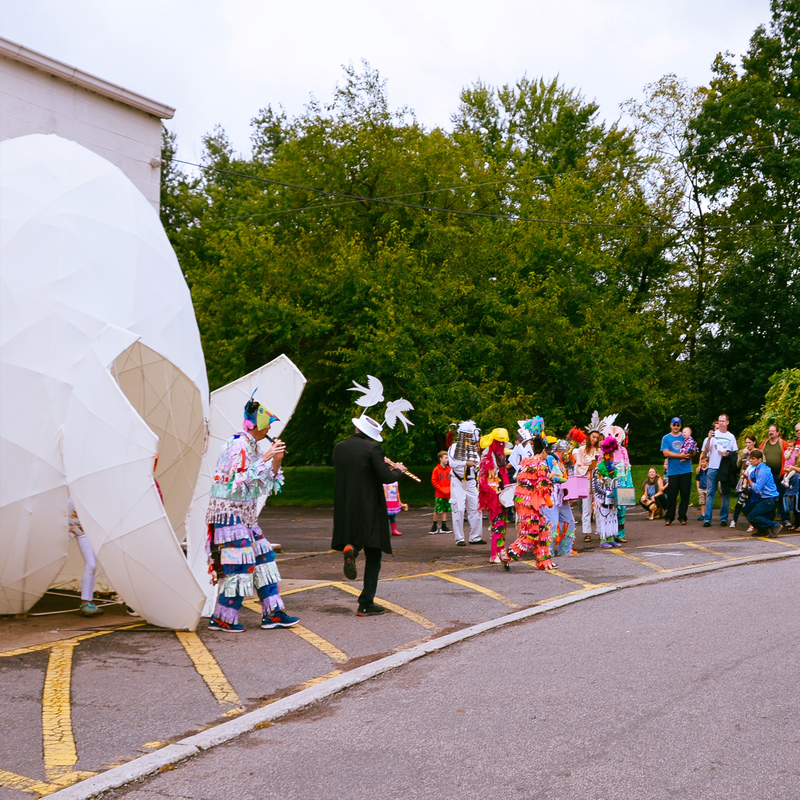 Enormous white parachute birds were designed and built by Kristin Powers and Flannery McDonnell. 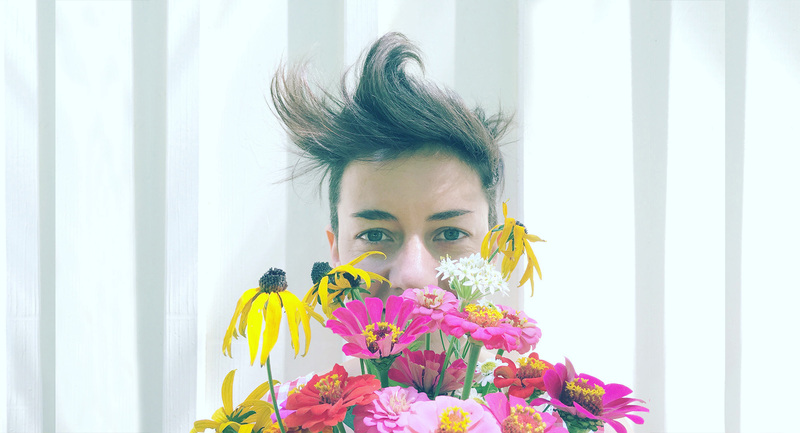 Italian composer Camilla Uboldi spent a week in residence composing an original score for marching toy pianos, marching typewriters, xylophones, flutes, and drums. 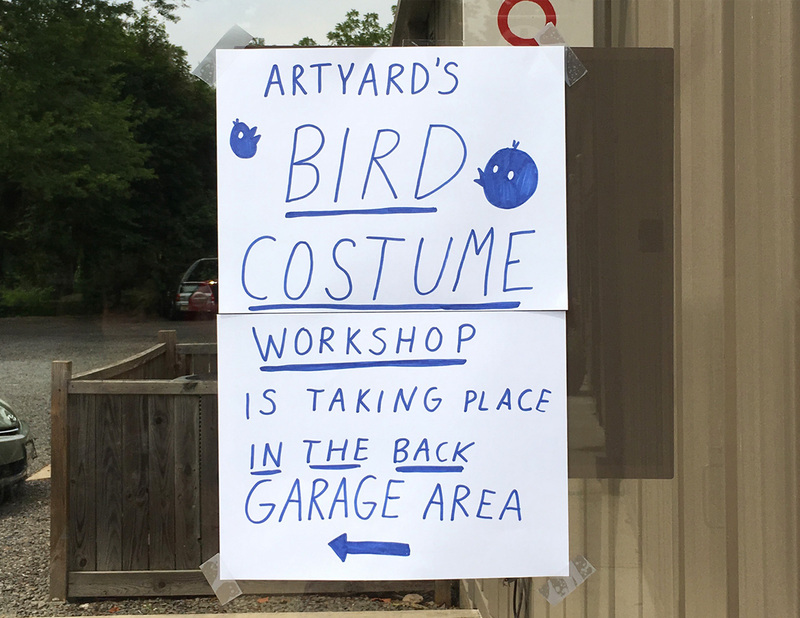 ↓ The community gathers to build bird masks and costumes for the event. 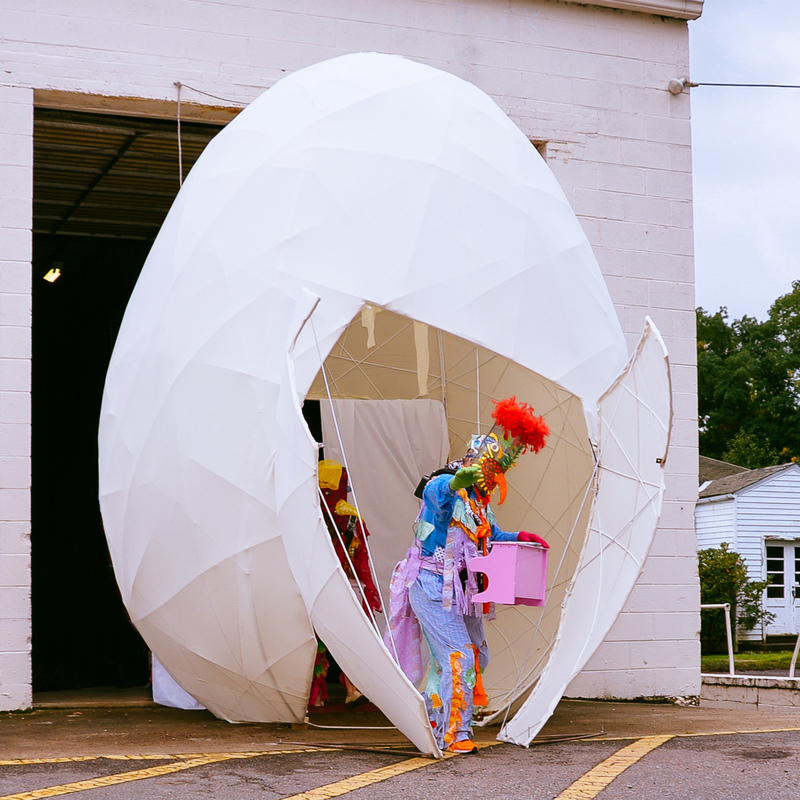 A lone owl emerges from the egg wearing a toy piano constructed by inventor/musician Schuyler Thum. 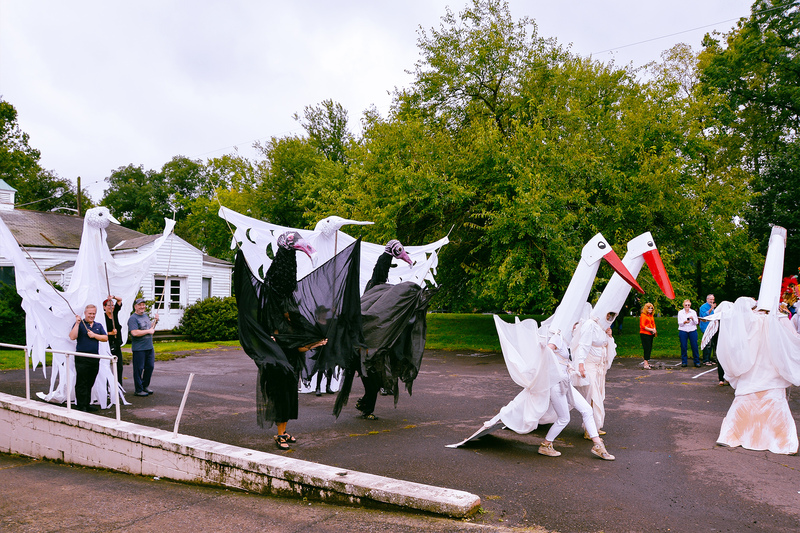 Cranes, bluebirds, vultures, and gulls followed sporting drums and marching typewriters engineered by Chris Langhart and Chrissy Snyder. 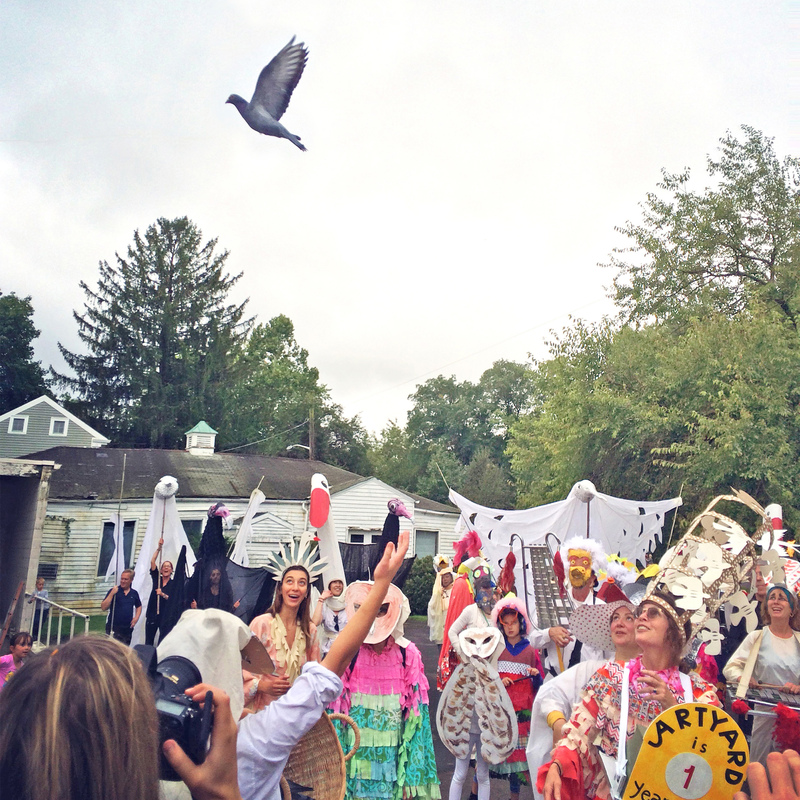 Homing pigeons were released in celebration of our one year anniversary and the impending construction of a 16,000 square foot theatre and art exhibition space on the site. 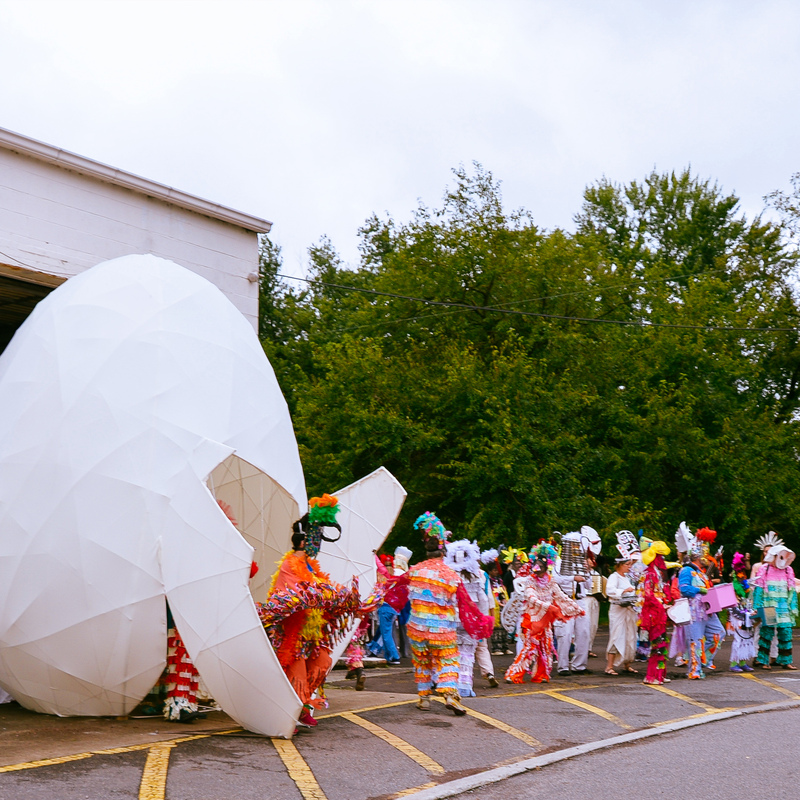 We hope construction will begin this coming spring. 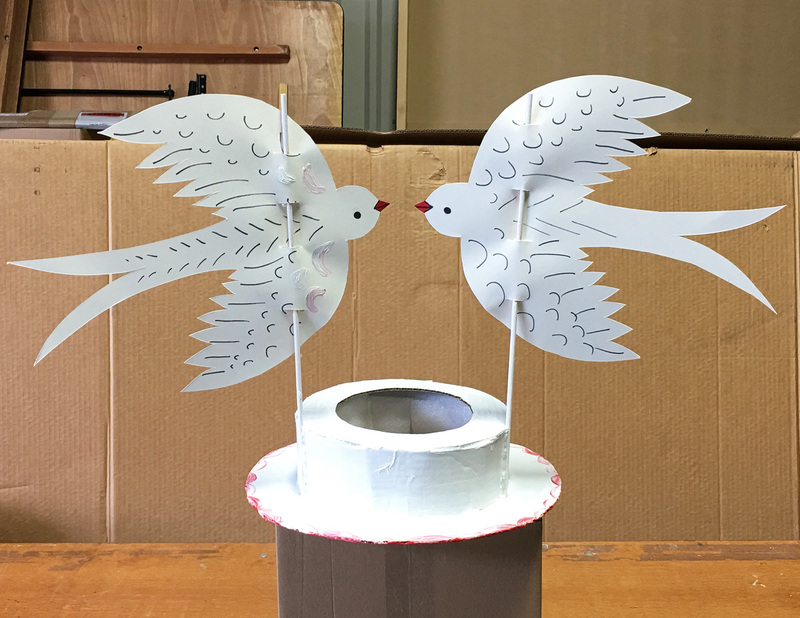 Our next hatch will occur the following spring of 2019 and will involve the addition of a chorus and communal feast.